Portable Ramp - Small and Compact for Steps. 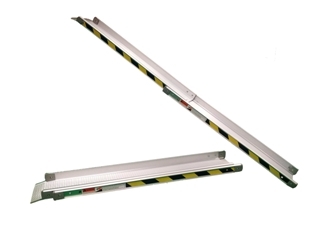 Our new range of aluminum telescopic ramps has arrived in Australia. 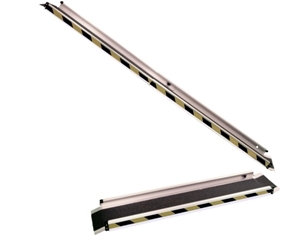 These ramps are lightweight and portable and slide to half their length for storage in the back of your car. These telescopic ramps are currently available in sets for purchase from your local Australian Shoprider Dealer and also from the online store located at www.redgumbrand.com.au. The portable mobility scooters that we sell are transportable and often are light enough to lift into the car however often we have requests for a solution to transport larger scooters. The larger scooters do not transport as easily but if you needed to get them into the back of a van , utility , 4wd or station wagon these ramps offer the ideal solution in a lightweight package. 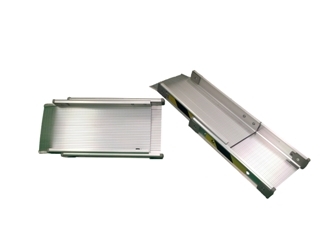 Also the smaller 60 cm telescopic aluminum ramp is a pack away solution for a small set of stairs or curb as a permanent fixture or as a temporary solution when relatives or friends come to stay.